New Printable Coupons Added April-23: Print coupons for baby diapers, beauty, cleaning supplies, pets, meat, household products and more. Exclusive Target Coupon: Click to activate, you will see savings at checkout. Exclusions Apply. Online Only Sale: Clothing, shoes, baby items, home items, toys and beauty up to 60% off. Mobile Coupons: Download their mobile app to access their grocery coupons, show them to the cashier for extra discounts. I use this app every time I shop at Target. Great Savings! Printable Coupons: These are manufacturer coupons and Target stores will accept them. Online: Save 50% on a second pair of shoes for women, men, baby and kids. Online Only: Get a $5 gift card when you spend over $50 on Easter items in their Easter shop. Online: Use Target coupon code: REFUND in their promo box at checkout. Works on Bedding, Bath, and Home items. 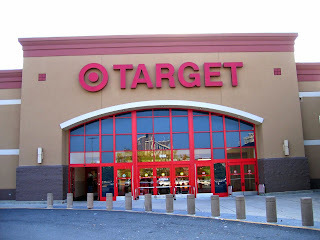 Online Coupon: Enter Target coupon code: PRESIDENT in their promo box at checkout. Valid on fresh meat, Seafood, Frozen, or Deli. Coupon will be sent to your phone instantly. I'ts a one time use coupon with its own bar code. Target has this coupon online, if you want to use it in store text "CLEAN to 827438", you will get the coupon on your phone to redeem at Target stores, valid on household products such as laundry detergent, cleaning products, bathroom tissue, paper towels.. and more. In Store: Print a coupon from Target's for a 25% discount on Market Pantry, Archer Farms and Butterball frozen turkeys. They also have a 25% coupon for Archer Farms Spiral Ham.. Timing couldn't get better for these savings, usually they have these coupons available after the holidays..
Target is only running this offer for 24 hours, make sure you take advantage of this discount, it only happens once a year. Coupons are not required. Text "BEAUTY" to 827438 to get a 25% coupon via smartphone valid towards beauty and personal care items. To use this target coupon online enter coupon code: BEAUTY at checkout. Great coupon to print, save $3 on fresh food purchases. Show coupon on your mobile phone or print and present it at the cashier. Must be printed or shown at checkout on your mobile device. Print coupon, present it when you buy beauty purchases over $35 and get a $10 gift card. Enjoy additional savings at Target with printable coupons and codes. Target is one of the nation's largest discount store chains whose mission is to offer most extensive selection of merchandise and services at the best possible price without compromising quality. At Target, the shopping experience is designed to be unique and pleasant with friendly service and speedy checkouts. Their promise is simple: expect more, pay less.